1" Male Adapter x 1" Female Thread Stainless Steel Cam Lever Coupling | U.S. Plastic Corp. These cam lever 1" male adapter - 1" female thread couplings are made with a tough 316 stainless steel to insure durability and they are chemically resistant to protect against corrosion. 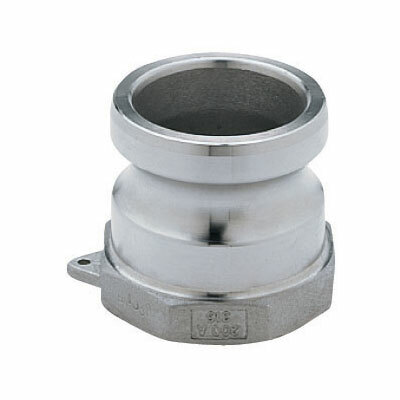 The precision-made, investment casting used to make these couplings is a high quality process designed to assure uniformity and proper fit. They are rated for a maximum operating pressure of 150 PSI. Their versatility allows them to interchange with all types of cam lever couplings. The smooth operation makes connecting them quick and easy. They come standard with Buna-n gaskets.